Mauricio Pochettino has received a welcome injury boost with Moussa Sissoko and Lucas Moura in contention to feature against Chelsea on Thursday night. Spurs take a 1-0 lead into the second leg of the Carabao Cup semi-final second leg at Stamford Bridge after Harry Kane scored the only goal from the penalty spot at Wembley in the opening fixture. Kane and Dele Alli are both sidelined until March through injury, with Heung-Min Son away with South Korea at the Asian Cup. But with Sissoko set to return after a groin problem and Moura (knee) in line to feature against their London rivals, while Victor Wanyama is also likely to be available for Sunday's FA fourth-round match at Crystal Palace, Pochettino's injury concerns appear to be easing. 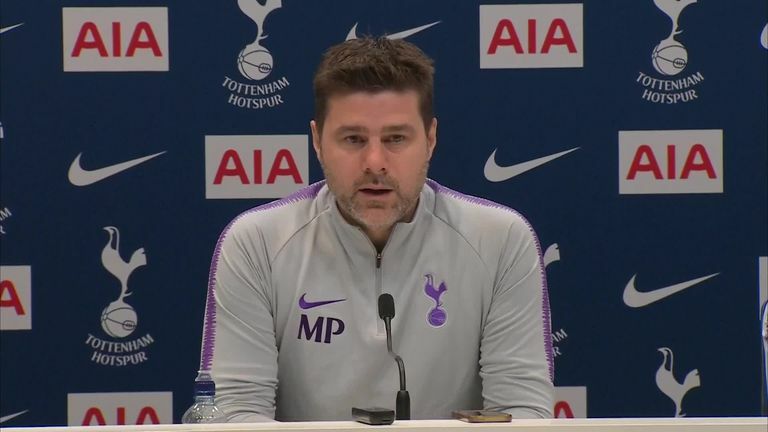 "Sissoko and Lucas are back in contention for tomorrow and Wanyama is hopefully back for the weekend for the FA Cup," said Pochettino. "It is very good news in the last few days to 'recover' Moussa and Lucas. Wanyama is so close [having been out since November with a knee injury]." Alli is likely to be out of contention until early March after injuring his hamstring in the closing stages of Tottenham's 2-1 win at Fulham in the Premier League on Sunday. Tottenham will take a 1-0 lead into their Carabao Cup semi-final second leg at Chelsea on Thursday, but will be without some key players. He joins fellow England international Kane on the sidelines and Pochettino admits the timing of their absence is not ideal, with Spurs playing at least eight times in four different competitions up until the end of February. The Argentine remains determined not to be too downheartened by Alli's absence, however, with some fringe players likely to be given the opportunity to impress. "We need to be positive like with Harry Kane," he added. "We are going to miss him for a long period, it is the worst moment because we have a very busy fixture list ahead. It is a good opportunity for different players to step up."